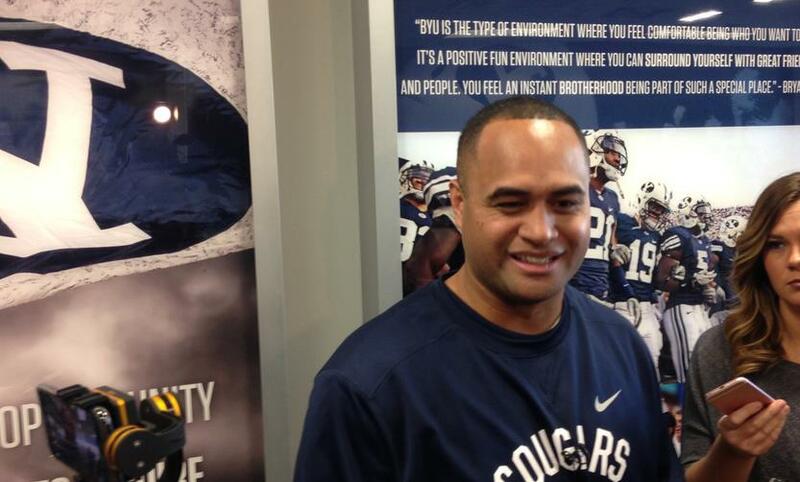 Amid a heart-wrenching family tragedy, BYU running backs coach Reno Mahe is back at practice — and he’s returned with peace and a powerful perspective. The Cougars are preparing for the Dec. 21 Poinsettia Bowl in San Diego against Wyoming. What Mahe and his wife, Sunny, have endured this past month — the accident and eventual death of their 3-year-old daughter, Elsie — has certainly brought the team closer together. And their experience has made an impact beyond the BYU community. At times Mahe’s eyes were moist with tears, but, as is his wont, he was able to smile and joke around with the media as he fielded questions. Elsie, the youngest of the Mahe’s eight children, became entangled in the cords of a mini-blind on Nov. 22 and was taken to Primary Children’s Hospital in Salt Lake City, where she later passed away.